Simply inserts into front CD player slot, and twist bottom screw to apply enough pressure to firmly hold mount in place. 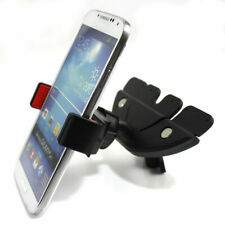 1 x360° Magnetic Car CD Dash Slot Mount Holder Cradle for iPhone Cell-Phone Samsung. 1 x Universal Car Dash Stereo CD Slot Cell Phone Holder Mount for Apple iPhone SE 5 5s. Simply inserts into front CD player slot, and twist bottom screw to apply enough pressure to firmly hold mount in place. 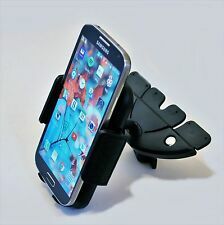 1 x Universal CD Slot Car Dash Mount Holder for Samsung Galaxy S8 Plus. Simply inserts into front CD player slot, and twist bottom screw to apply enough pressure to firmly hold mount in place. Fully adjustable with 360 degree rotation for quick portrait and landscape views. 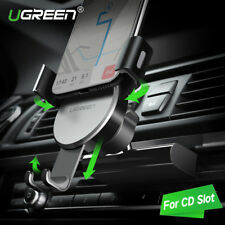 The CD port car phone holder adopts a unique wing-shaping shape. It is specially designed for the car CD port. It does not block the line of sight, and the operation is simple and convenient, which makes driving safer. Mount your smartphone without the hassle of sticking your holder onto your windshield or dashboard with the Cellet CD Slot Phone Holder. Turn knobs located on the on the CD base provides 360 degree rotational capability and ensures a stable position as you drive. ☆ This phone ring stand is compatible with all smart phones and tablets that have a flat and non-textured back surface. The 360° rotating and 180° open angle give a comfortable holding for your device. CD Slot Suction Phone Mount for Apple iPhone X, 8, 8 Plus, Samsung Galaxy Note 8, Galaxy 8, S8 Plus and More - Extra Strength Suction Cup with Quick-Snap Technology by Cellet. Mount your smartphone without the hassle of sticking your holder onto your windshield or dashboard with the Cellet CD Slot Suction Phone Mount. Turn knobs located on the on the CD base provides 360 degree rotational capability and ensures a stable position as you drive. CD base can be securely inserted into CD slot with turn knob. CD base has 360 degree rotational capability. Magnetic Car Dash CD Slot Holder Mount Cradle for Cell Phone Samsung Galaxy S8. Super Thin Steel Insert Plate provides extra strong magnetic attach to mount. Cradle-less, hassle-free Easy Quick snap on and Snap-off magnetic mounting system. Twist the knob with the screw at the bottom of the holder to tighten the holder to the CD slot. Super Thin Steel Insert Plate provides extra strong magnetic attach to mount. Cradle-less, hassle-free Easy Quick snap on and Snap-off magnetic mounting system. Simply inserts into front CD player slot, and twist bottom screw to apply enough pressure to firmly hold mount in place. 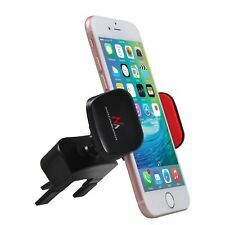 Car CD Slot Phone Holder Universal Cell Phone Mount for iPhone 7 Plus. 1 x Universal CD Slot Car Dash Mount Holder Mount for Apple iPhone 7 Plus. 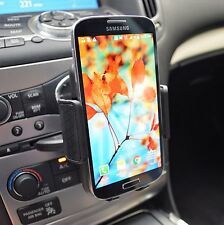 360° Magnetic Car CD Dash Slot Mount Holder Cradle for iPhone Cell Phone Samsung. Super Thin Steel Insert Plate provides extra strong magnetic attach to mount. Cradle-less, hassle-free Easy Quick snap on and Snap-off magnetic mounting system. Mount your smartphone without the hassle of sticking your holder onto your windshield or dashboard with the Premium CD Slot Phone Holder. Turn knobs located on the on the CD base provides 360 degree rotational capability and ensures a stable position as you drive. Cellphone Tempered Glass. Cellphone Accessories. For iphone. Flex Cable. For Samsung. For iPhone. For iphone 4/4S. For iphone 5/5c/5s. 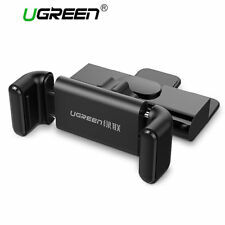 The UGREEN Gravity Car Phone Holder is design with novel gravity linkage arms which can steadily hold and ease your phone automatically by one hand, don't need to touch or adjust the holder. 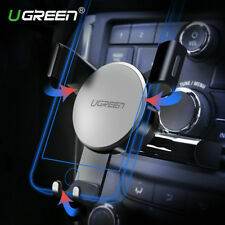 UGREEN Gravity Car CD Slot Cradles 1. ·Extension Cable. Audio Cable & Adapter. 3.5mm Audio Cable. ·M/M audio cable. 6.5mm Audio Cable. RCA Audio Cable. Optical Audio Cable. ·Type C Cable.